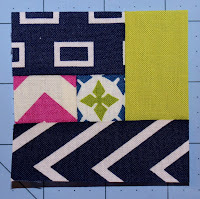 Begin with the two 1.25" squares. 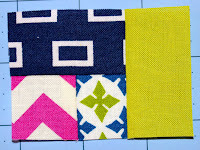 Place them rights sides together and sew along one side. Turn and press. 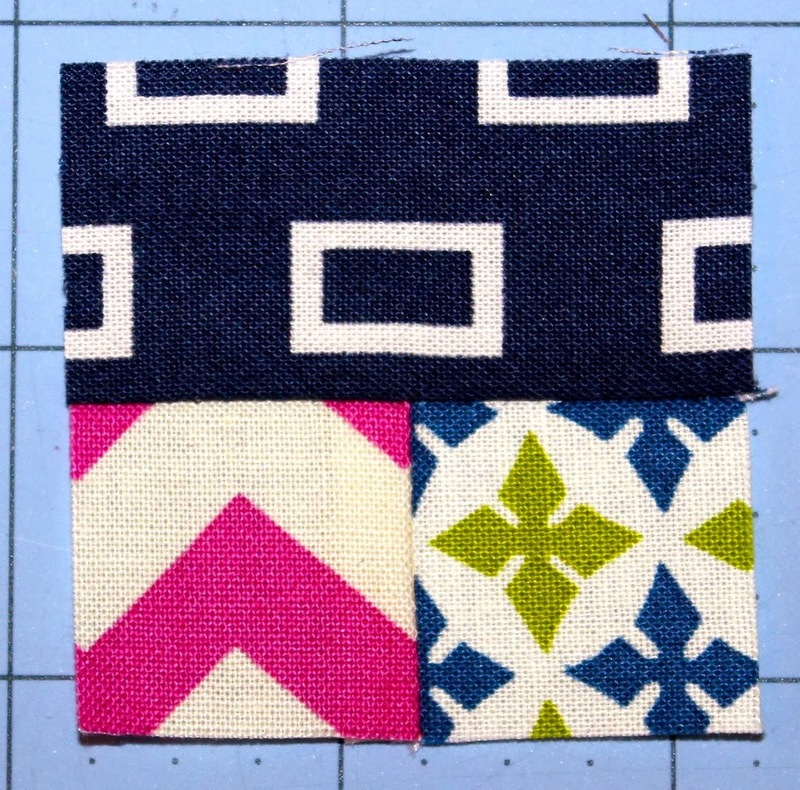 Place a strip lengthwise and right sides together along one of the long sides from the two pieces you just stitched together (aligning edges). Leave the strip a little longer at both ends (1/4" or less). 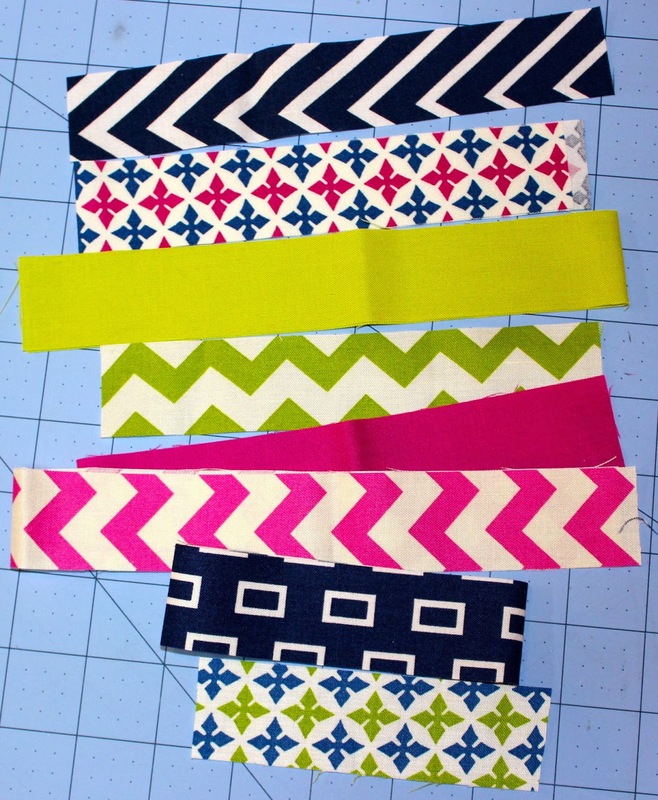 Sew along the outer lined-up edge. Turn and press. 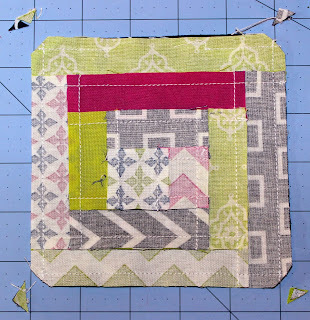 Use the ruler and rotary cutter to square up the longer edges to match the first two pieces. Continue sewing on strips in a clockwise rotation (as shown below), making the block larger with each additional strip. When the front/block piece is at the size you want for your cushion, place it right sides together onto the backing fabric piece. 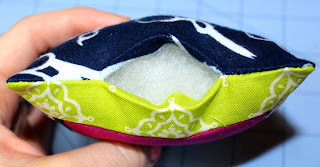 Trim the backing piece to match the size of the front. 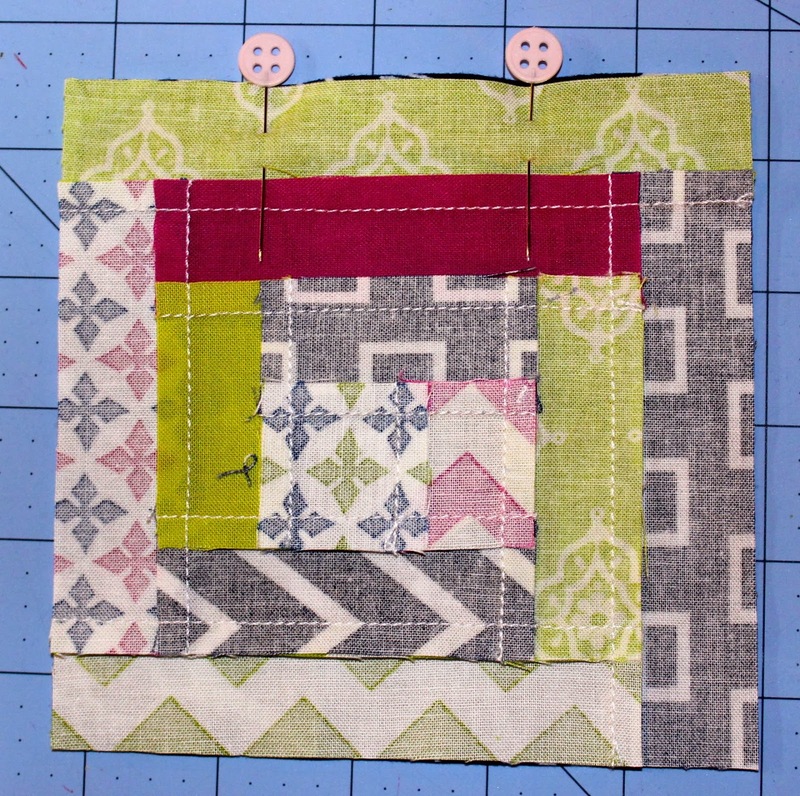 With the front and back still right sides together, place two pins about 2" apart along one edge. 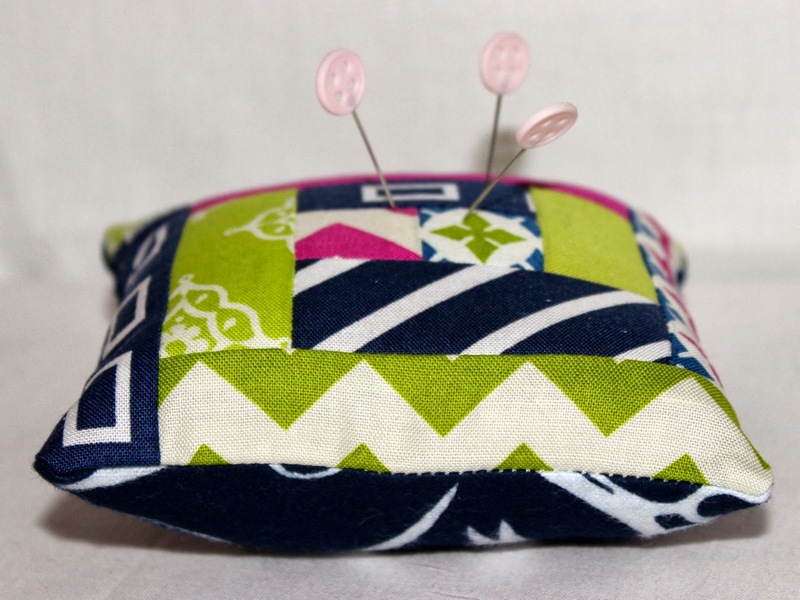 Starting at the pin on the right, sew all the way around until you get back to the pin on the left. Leave the 2" space open. 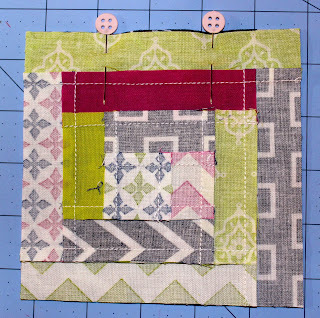 Back-stitch at the start and stop. Clip the corners. Turn the cushion right sides out through the opening. Use a blunt tool (like a chopstick) to poke out the corners. Press flat making sure the raw edges from the opening are tucked inside matching the seam allowance. 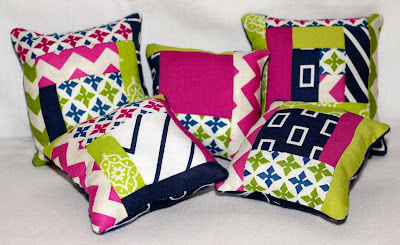 Stuff the cushion with fiberfill through the opening until it is as firm as you like. Pull the fill out of the bag/box in little bits to fluff it up. Slip-stitch the opening closed, and you are done! 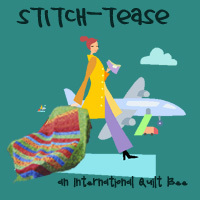 If needed, find instructions for the slip-stitch at www.wikihow.com/Slip-Stitch. 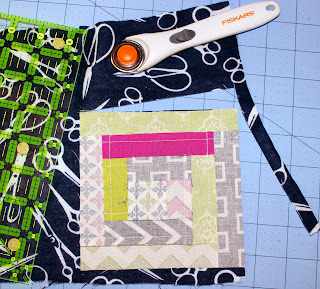 Go to the bottom of the page to find the slip-stitch for hand-sewing. 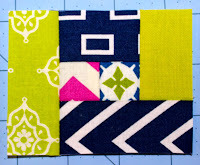 There is also a great class on Craftsy.com that includes excellent instructions/demo for slip-stitching: Sewing Studio with Diana Rupp. 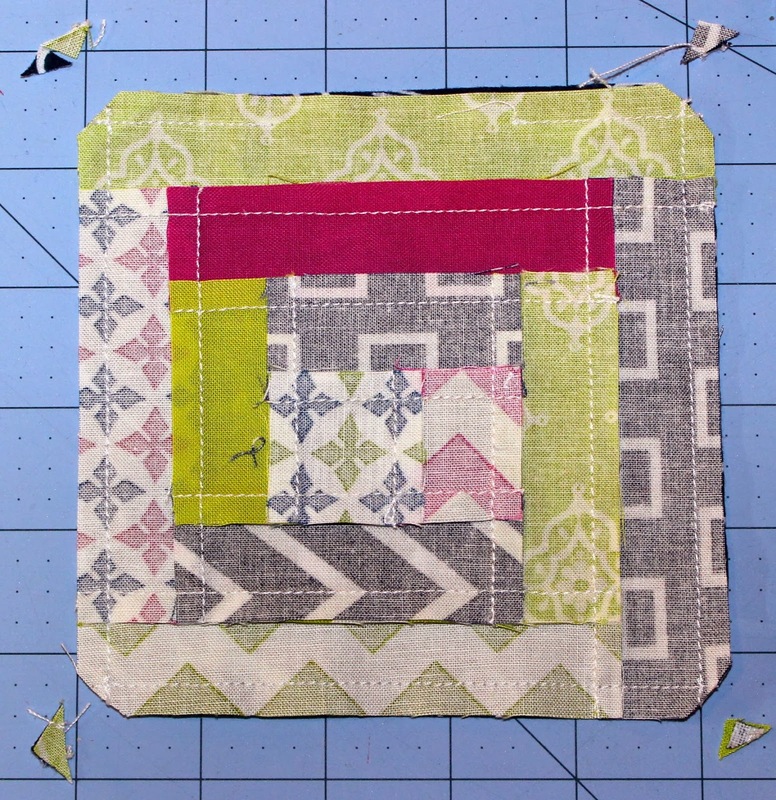 This is an awesome class for beginners! 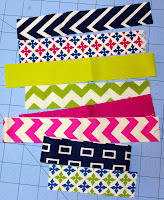 For a different look, try making the strips different widths. You can see examples of this in my picture below. 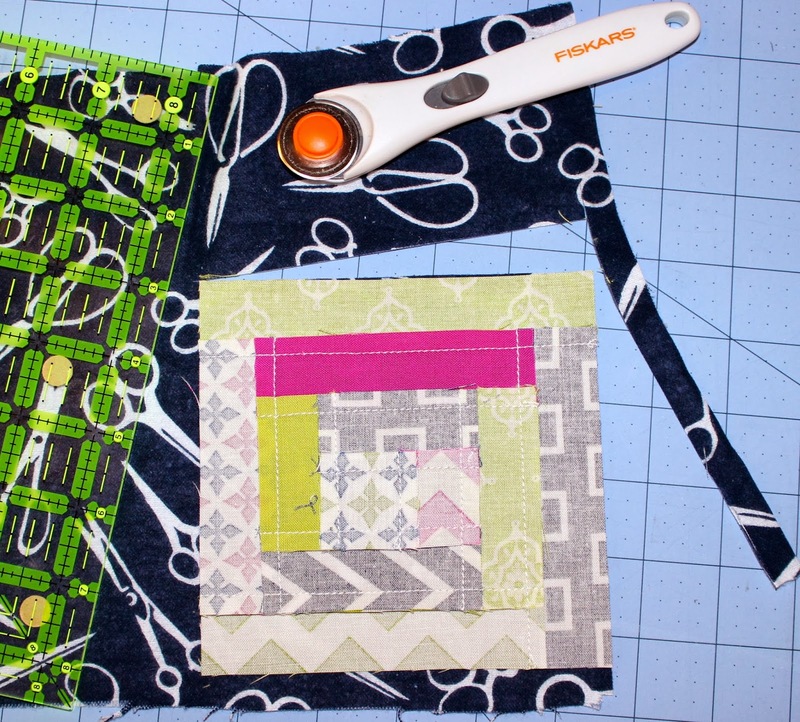 Just remember to square up the sides with your ruler and rotary cutter after adding each strip!